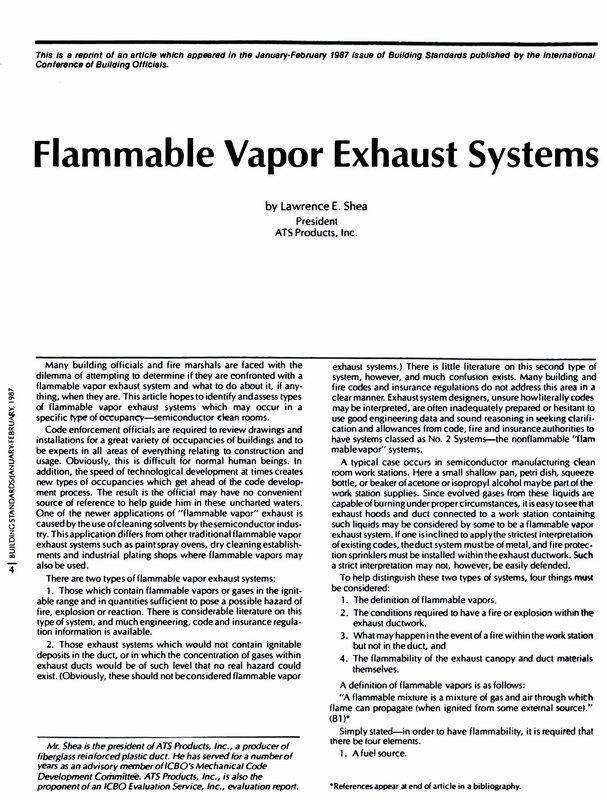 In 1987, founder of ATS, Lawrence Shea, wrote and published the article Flammable Vapor Exhaust Systems. 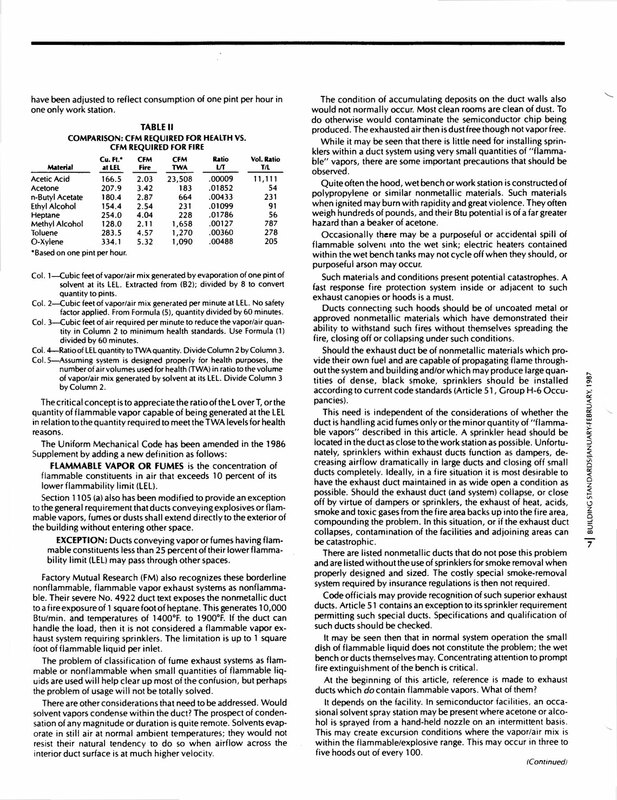 The intent of the article was to prove mathematically that it is virtually impossible to have a condition in a semiconductor facility that met the definition of a “flammable vapor exhaust system” (FVES). 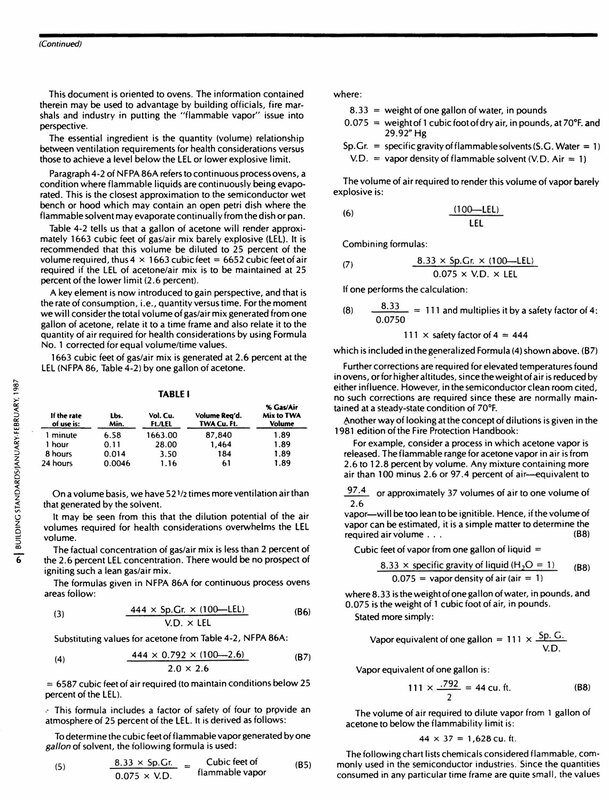 This is because the rate of dilution of vapors is so great that solvents evaporate before they can build up in sufficient quantity to meet the definition of an FVES. This is significant to insurance and fire officials because Flammable Vapor Exhaust Systems require special handling and must be sprinkled. As long as systems do not fall under the definition of a Flammable Vapor Exhaust System, sprinklers are not required in FM Tier 1 ducts. 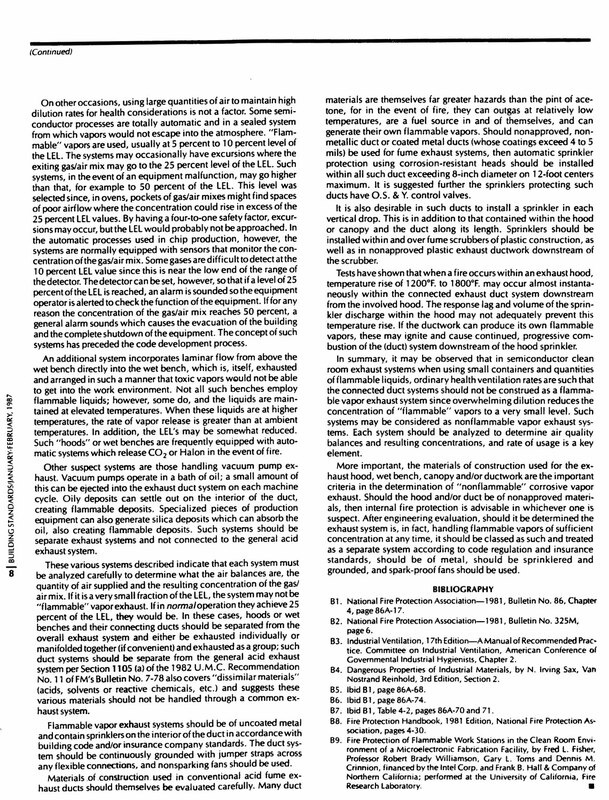 (See page 20.) 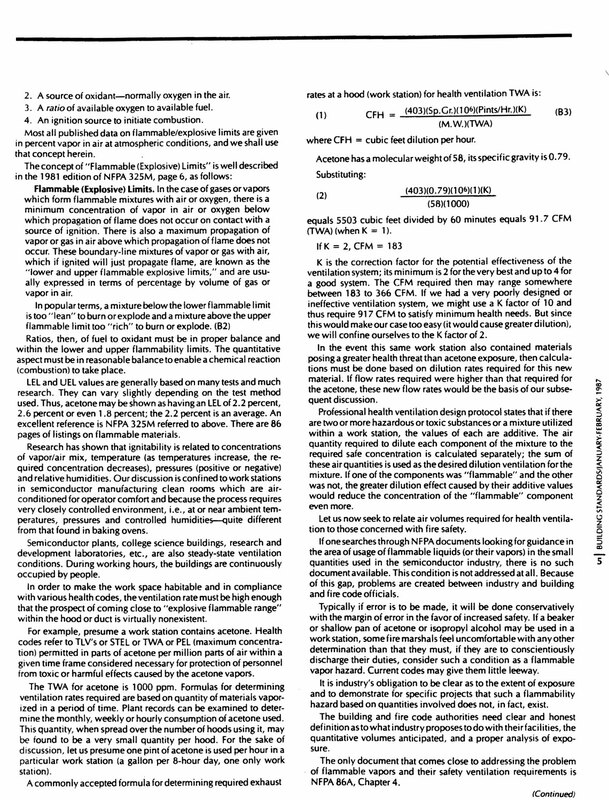 There are other cases where flammable residues are known to build up, and in these cases, the resident engineer would need to evaluate it on a case-by-case basis.